You are here: Home › BDS ≠ Peace › Conflict on Campus › Israeli Filmmaker Victim of BDS at Syracuse U? Israeli Filmmaker Victim of BDS at Syracuse U? At the annual Sundance Film Festival in January, Shimon Dotan was approached by William Blizek, a University of Nebraska Omaha professor. 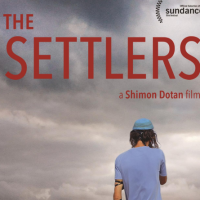 Impressed by Dotan’s film “The Settlers,” which sheds light on the history of Israeli settlements on the West Bank and the movement’s development, Blizek, a philosophy and history professor, wanted to screen the film at “The Place of Religion in Film,” an international conference to be hosted by Syracuse University in March 2017. “He thought it was a valuable project and a very important film,” said Dotan, an Israeli filmmaker who also teaches political cinema at New York University’s graduate school of journalism. Dotan was interested in showing his film at the conference and kept in touch with Blizek. Then he learned he was no longer welcome to attend the conference when an SU professor told him that she was concerned about the potential political reaction on campus, particularly from the anti-Israeli Boycott, Divestment and Sanctions (BDS) movement. The disinvitation, first reported Thursday by The Atlantic, raised concerns as to whether SU had become the latest example of a university whose academic freedom was compromised by a small portion of campus. Since the story’s publication, the university has been in the national and global spotlight as questions lingered over its commitment to academic freedom. After much public scrutiny, the university reversed its decision and plans to invite Dotan to screen the film. M. Gail Hamner, a religion professor at SU and an organizer of the conference, sent an email to Dotan on June 24, telling him that she had not seen the film and that she would lose credibility with her colleagues if she vouched for the film without seeing it first, according to The Atlantic article. In negating the invitation, Hamner said she feared that anti-Israeli BDS supporters on campus would “make matters very unpleasant” for Dotan and her. She wrote in the email the she felt “tremendous shame” in rescinding the invitation. “I feel caught in an ideological matrix and by my own egoic needs to sustain certain institutional affiliations,” Hamner wrote, according to The Atlantic article. Dotan said he was “puzzled” that Hamner didn’t ask him to send her the film, because he typically receives requests to submit his film to festivals beforehand to see whether the film is appropriate for the given occasion. Hamner released a statement Friday apologizing for the disinvitation, adding that she didn’t realize it was standard protocol to watch the film. She said that was a result of her “bad judgment” and inexperience in organizing conferences. Zachary Braiterman, chair of the Jewish studies program at SU, however, argued that The Atlantic article created a controversy where there isn’t one. Braiterman said he spoke with Hamner, who had expressed initial interest in Dotan’s film. “It was on that conversation and conversations that she must have had with other colleagues where she came to the conclusion that, having not seen the film, she was in no position to vouch for it,” Braiterman said. Braiterman added that he was probably among Hamner’s many colleagues who warned her that she would be confronted with political questions about Israel and its representation if she wanted to show anything about the country on campus. “This just simply reflects the reality of this terrible thing called the Israeli-Palestinian conflict, which has gone unresolved,” Braiterman said.
. . . After The Atlantic article’s publication, a handful of media organizations — including The Huffington Post, The Chronicle of Higher Education, Israeli-newspaper Haaretz and conservative blog The Legal Insurrection —picked up the story. By Friday, the university was under pressure to squash the controversy. Vice Chancellor and Provost Michele Wheatly sent an email to the university community calling Hamner’s original decision inconsistent with SU’s “policies, ideals, and practices” and assuring the university’s support of academic freedom. “I allowed my own fear of controversy to rule over good judgment and good teaching,” Hamner wrote. . . .
Click here, to read the article in its entirety.